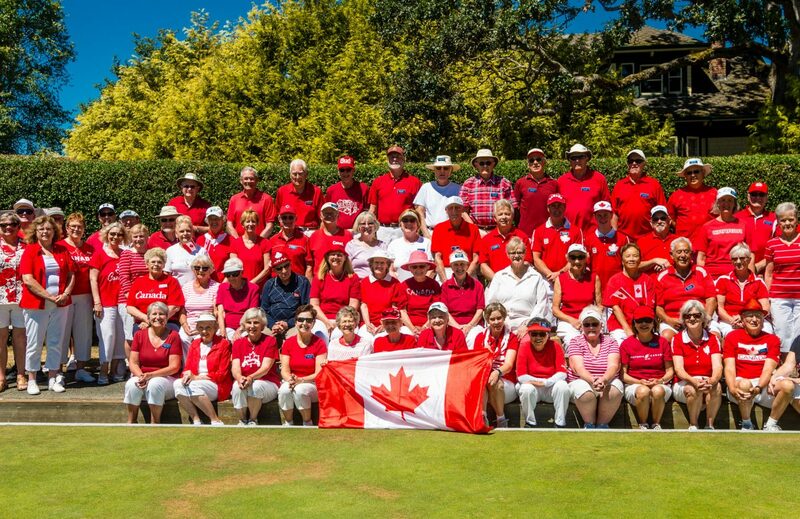 NAME: The name of the Society shall be “Gordon Head Lawn Bowling Club”, hereinafter referred to as “the Club”. 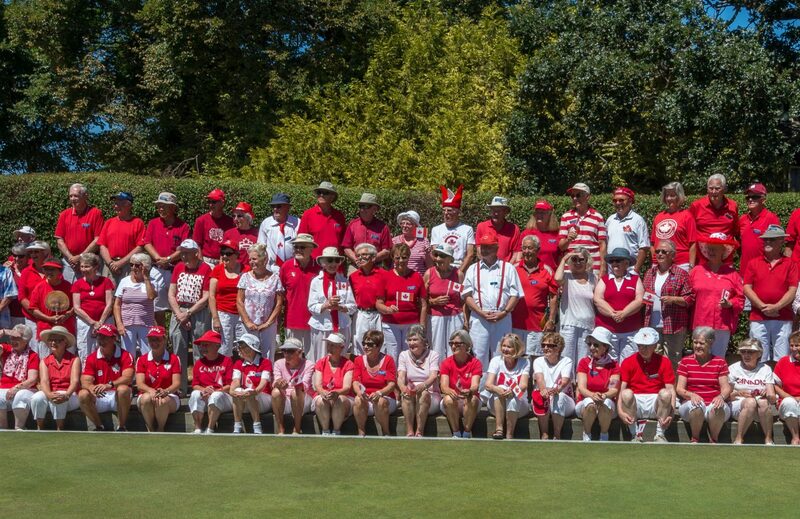 PURPOSE: The purpose of the Club is to promote, foster and safeguard the game of lawn bowls, and to encourage and maintain friendly participation among the members of the Club. AFFILIATIONS: The club shall be affiliated with the British Columbia Lawn Bowling Association and the South Vancouver Island Lawn Bowling Association, provided that such affiliations may be discontinued by a majority of votes at any Annual or Semi-Annual Meeting of the Club, or by any special meeting of the Club called for that purpose. The per capita fees levied by these associations shall be paid when due. The “Laws of the Game”, as laid down by the International Bowling Board, shall govern all Club games and matches, subject always to special rules made and posted by the Games Committee of the Club, where necessary. This provision is unalterable. WINDING UP: In the event of the winding up or dissolution of the Club, the funds and assets of the Club remaining after the satisfaction of its debts and liabilities shall be given or such organisation(s) concerned with community social problems, or organisations promoting the same purpose as the Club, as may be determined by the members of the Club at the time of winding-up or dissolution, and if effect cannot be given to the aforesaid provisions, then such funds shall be given or transferred to some other organisations(s), provided however that such organisation(s) referred to in this paragraph shall be a registered charity or charities recognised by Revenue Canada Taxation as being qualified as such under the provisions of the Income Tax Act of Canada from time to time in effect. This paragraph is unalterable in terms of the Society Act. (g) “committee” (unnamed) means a committee and/or a subcommittee. (2) With the above exceptions, the definitions in the Society Act on the date these By-laws become effective shall apply to these By-laws. 2. Words importing the singular include the plural and vice versa; and words importing a male person also include a female person. The membership of the Club shall consist of persons who, having applied for membership, been accepted and paid the appropriate full current membership fee, shall uphold the Constitution, abide by the By-laws and conform to the rules and regulations of the Club. Application for membership shall be made in writing by completing the official Club application form and submitting it to the Secretary. The Secretary shall submit all applications so received to the Executive Committee for consideration. A majority vote of the Executive Committee shall be necessary for acceptance of any membership application. The Executive Committee shall have the power to establish a maximum membership limit from time to time, always provided that a waiting list shall be maintained while such a list is in effect. Membership Year: The Club’s membership year shall be from 1 May to 30 April, and these dates shall govern when fees are due and payable (Article 3), and when a member shall be deemed to have ceased to be a member of the Club. Regular members shall be those who have paid the appropriate full current Regular membership fee, and are not under suspension. They shall enjoy all the rights, privileges and prerogatives of Club membership, including the right to vote, to hold office and to have any proprietary interest in the Club’s assets. Junior members shall be those between 12 and 18 years of age who have paid the appropriate full current Junior membership fee, and who are not under suspension. They shall enjoy all the rights, privileges and prerogatives of Club membership except the right to vote, to hold office and to have any proprietary interest in the Club’s assets. Life members: Upon recommendation by a majority vote of the Executive Committee, Life membership may be granted to any regular member of the Club, subject to a two-thirds majority vote of Club members present at a General Meeting. Such Life membership shall be in recognition of outstanding and meritorious service, and shall entitle the holder to all rights, privileges and prerogatives of the Club, including the right to vote, to hold office and to have any proprietary interest in the Club’s assets. Life members shall be exempt from paying membership fees. Social members shall be those persons who have paid the appropriate full current Social membership fee or fees, and who are not under suspension. They shall be entitled to participate in the social activities of the Club only; they shall not be entitled to the rights, privileges and prerogatives of Club membership, and shall not have the right to vote, hold office or to have any proprietary interest in the Club’s assets. d. On having failed to pay the full current membership fee as provided for under Article 3.1. Membership fees shall be such annual fees as the Club Executive Committee may decide from time to time, and shall be due and payable by 1 May each year. 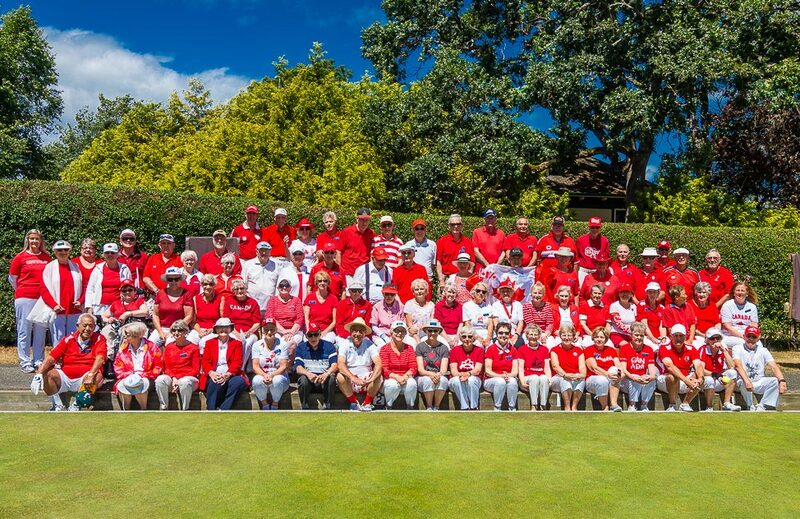 Any member failing to pay the full membership fee as herein provided shall cease to be a member of the Club until all outstanding fees are paid in full. The Executive Committee shall have the power to prorate fees for members joining after start of the Club year. 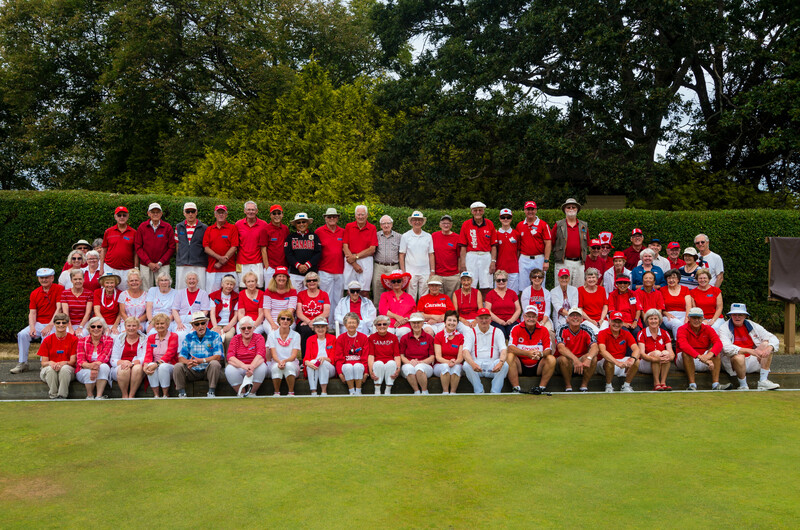 The Executive Committee may, on an individual basis, charge fees to guest bowlers and charge fees for the use of Club bowls. 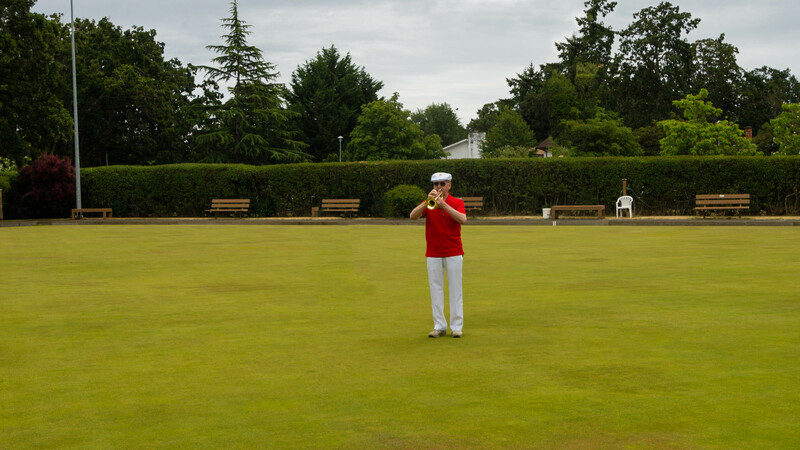 All members are required to conduct themselves in a proper manner in the Clubhouse and on the green. The Executive Committee may, at their discretion, caution, place on probation, suspend or expel any member whose conduct is, in the opinion of the Executive Committee, injurious to the welfare or best interests of the Club: provided that before taking any such disciplinary action, the Executive Committee shall give the member an opportunity to make a submission to the Executive Committee as to the matter complained of. 1. The management of the Club shall be vested in the Executive Committee who shall be empowered to carry out the day-to-day affairs of the Club in accordance with the Constitution and By-laws. The Executive Committee shall consist of twelve (12) directors. (3) Of the said six other Directors there shall be a minimum of two males and two females. 3. All Directors except the Past President shall be elected for a term of one year or until their successors are elected. The Past President shall assume office automatically for a term of one year or until his successor assumes office. All Directors shall retire from office at each Annual General Meeting. They may be re-elected, but may not hold more than one office at the same time. 4. All Directors shall serve without remuneration. 5. The Officers of the Club shall be: the President, First Vice President, Second Vice President, Secretary and Treasurer, as determined by the membership, and the Past President. 6. The President shall be the principal officer of the Club and shall normally act as Chair at all meetings of the Club and of the Executive Committee, and shall be an ex-officio member of all committees except the Nominations Committee. 7. The First Vice President shall officiate in the absence of, or at the request of, the President at any meeting of the Club or of the Executive Committee. (See Article 8, paragraph 4). (a) The Secretary shall keep an accurate record of proceedings of all meetings of the Club and the Executive Committee. He shall conduct all correspondence and maintain all minute books, the membership roll, and all other records and documents of a non-financial nature, and generally perform the duties appertaining to the office of Secretary. (b) In conjunction with the President and the Treasurer, the Secretary shall prepare and submit an approved Annual Report to the Registrar of Companies, Ministry of Finance and Corporate Relations, within 30 days of each Annual General Meeting as required by the Society Act. 10. The Treasurer shall receive all fees and monies due to the Club, and deposit the same to the credit of the Club in any accredited financial institution, as directed by the Executive committee. The Treasurer shall keep an account of all receipts and expenditures, and shall make such payments as are authorized by the Executive Committee. All books and vouchers shall at all times be subject to inspection by the Executive Committee. 11. The Past President shall serve on the Executive Committee, shall serve as Chair of the Nominations Committee, and shall perform such projects as may be assigned from time to time by the Chair of the Executive Committee. 12. The six other Directors shall serve on the Executive Committee and carry out such duties as may be assigned from time to time by the Chair. 13. At any meeting of the Executive Committee, a majority of the Directors shall constitute a quorum, and each member shall have one vote. The Chair of the Executive Committee may introduce a motion or a proposal and shall have a vote, but shall not cast a second or deciding vote; any proposal not receiving a majority vote of those Directors present shall not pass. 14. The Chair shall call meetings of the Executive Committee at his discretion, and shall give at least two days notice of such meetings. 15. Members of the Executive Committee may meet together at such places as they think fit for the dispatch of business, adjourn and otherwise regulate their meetings and proceedings, as they see fit. 16. The Executive may from time to time enact by majority vote Standing Rules concerning the general operation of the Club. Immediately following their enactment, such rules shall be posted prominently in the Clubhouse and entered into the book of Rules and Regulations. 17. The Executive Committee may assign additional duties to any Director or transfer duties between Directors. 18. All records and documents of the Club shall be kept in the Clubhouse or at the duly registered resident address of any Executive Committee member, at the discretion of the Executive Committee; such records may be handwritten, typewritten or computer printed; in addition, they may be archived and maintained on electronic data-storage media. 19. Any member of the Executive Committee absenting himself from three consecutive Executive Committee meetings, except for reasonable cause of which the Executive Committee shall be the judge, shall cease to be a member of the Executive committee and shall have his office declared vacant; such a vacancy shall be filled as provided for by these By-laws. 20. In the event of a vacancy occurring in the Executive committee, except as provided for in paragraph 21 below, such vacancy shall at the discretion of the Executive Committee be filled by them until the next Annual General Meeting. 21. Any member of the Executive Committee may, for cause, be removed from office by a majority vote at a special General Meeting of the Club called for the purpose. A vacancy so created shall be filled by nomination and election of a successor at the meeting so called or, if so determined by the meeting, by the Executive Committee at its next meeting. The member filling such a vacancy shall hold office until the immediate next Annual General Meeting. 1. The President shall nominate from the Directors, as soon after the Annual General Meeting as possible, Chairs of the five Standing Committees, i.e., (a) Greens, (b) Games, (c) House, (d) Maintenance and (e) Social; such nominations must be approved by a majority vote of the Executive Committee. (a) Greens Committee: The Greens Committee shall be responsible for the supervision, care and direction of the maintenance of the green, and shall propose to the Executive Committee for enactment such regulations as it deems necessary for the protection of the green. It shall have the power to engage and discharge a greenskeeper or other assistants, subject however to the approval of the Executive Committee. (b) Games Committee: A female Director and a male Director shall act as Co-Chairs of the Games Committee; in addition, the Games Committee shall consist of at least two other members, one male and one female. It shall have responsibility for organizing and running all games held at the Club, including regular play and both Club and inter-club competitions. (c) House Committee: The House Committee shall have the duties of directing the interior housekeeping of the Clubhouse, and of purchasing the supplies necessary for this purpose. (d) Maintenance Committee: The Maintenance Committee shall be responsible for directing the maintenance and repair of the Clubhouse, for the direction of capital projects authorized by the Executive Committee, and for the safety and security of the Club premises. (e) Social Committee: The social Committee shall be responsible for the supply of food and beverage requirements for all Club social functions and entertainment, and for the operation of the kitchen facilities. (g) Special Committees: The President shall have the power to appoint such other special Committees as he deems advisable from time to time, and to dissolve such Special Committees on the completion of their assignments, or sooner if required. 2. The actions of all Committees shall be subject to the approval of the Executive Committee, but the Executive Committee may beforehand grant any Committee power to act in a matter. The Chairs of the Committees shall arrange the times and places for their meetings; special meetings may be called by the Chairs thereof at any time by giving notice. 3. The Chairs of all committees may select the remaining members, if any, of their committees from the Executive Committee or from the Club membership at large, or both. Coaches: The President shall, in consultation with the Executive Committee, appoint coaches who shall be responsible for all coaching at the Club. One of the coaches shall be designated Chief Coach, who shall be responsible for directing and planning and conduct of training programmes. 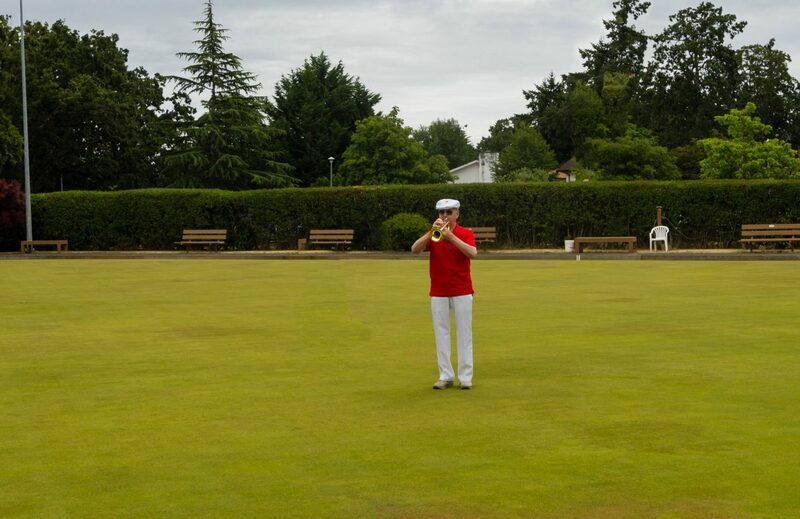 A novice bowler shall be allowed on the green only after he has received adequate instruction in the opinion of the Chief Coach. Rentalsman: The President shall, in consultation with the Executive Committee, appoint a Rentalsman who shall attend to renting the Clubhouse facility according to a rate structure and other conditions to be determined from time to time by the Executive Committee. The President shall have the power to make such other Special Appointments as he deems advisable from time to time, and to rescind such Special Appointments on the completion of their assignments, or sooner if required. The Annual General Meeting of the Club shall be held in October, and at least 14 days notice thereof shall be given in writing to every member of the Club in good standing. Such notice shall outline the meeting agenda, and shall include the slate of nominees standing for election as well as a list of any proposed Resolutions and Amendments to be put forward at the meeting. At such meeting the annual reports of the President, Secretary, Treasurer and Auditor shall be presented and dealt with. Reports of Standing Committees and Special Committees shall also be submitted by the respective Chairs. The report of the Nominations Committee shall be given by the Past President in his capacity as Chair of said committee, and shall immediately precede the nomination and election of new Directors and Officers. The Semi-Annual General Meeting of the Club shall be held in April. At least 14 days notice thereof, including the proposed agenda, shall be given in writing to all members in good standing. A Special General Meeting of the Club may be called at any time and place by the Executive Committee on its own initiative, and must be called within 28 days of receiving a requisition signed by at least ten (10) Club members or 10%, whichever is the lesser, in good standing. Fourteen (14) days notice shall be given to all Club members in good standing of any Special Meeting; such notice must state the reason for which the meeting is being called. It shall not be permissible at any Special General Meeting to transact business other than that for which the meeting was specially called and notice given. A quorum shall be thirty (30) members in good standing who are eligible to vote. The President shall act as Chair of any meeting, or in the President’s absence the First Vice President, or in the absence of the First Vice President the Second Vice President. In the absence of all three said Officers the meeting may appoint any member who is present in good standing to act as Chair. Rules of Order: All meetings of the Club and of committees shall be conducted in accordance with Robert’s Rules of Order. Voting: At any General Meeting, all questions shall be decided by a majority vote of members present and entitled to vote, except when the question being voted upon comes under Article 10, paragraph 3 (which see). Voting by proxy shall not be allowed. Voting shall be by a show of hands, but may be by written ballot if deemed necessary by the Chair or if demanded by five (5) members present. Nominating: At an Executive committee meeting preceding the Annual General Meeting by not less than thirty (30) days, the Past President, in his capacity as Chair of the Nominations Committee, shall present for acceptance a proposed slate of nominees for election at the Annual General Meeting. The approved slate of nominees for office shall be made know to all members in the notice of the Annual General Meeting, as provided in Article 8, paragraph 1. (which see), and shall be presented to the Annual General Meeting by the Chair of the Nominations Committee, after which other nominations shall be called for from the floor and an election held if necessary. To be valid, a nomination from the floor must have the consent of the nominee. (d) Signing authority shall be given to the President, The Treasurer and the Secretary any two of whom shall sign cheques for the Club’s expenditures. 2. Auditor: An auditor shall be elected each year at the Annual General Meeting. It shall be the Auditor’s duty to conduct a thorough audit of the books and accounts of the Club and to report his subsequent findings to the immediate next Annual General Meeting, and to make such recommendations in respect to the accounting process as he may deem necessary. 3. Borrowing Powers: For the purpose of carrying out its objectives, the Club may borrow, raise or secure the payment of money in such a manner as it thinks fit and in particular by the issue of debentures, but none of these powers shall be exercised without approval of the Club members by a Special Resolution passed with a three-quarters (75 percent) majority at an Annual or Semi-Annual General Meeting, or a Special General Meeting called for the purpose. 4. Assessment: To enable the Club to meet an emergency expense, the Executive committee may levy an assessment against each Regular member, to be voted on at a General Meeting. 5. Limitation of Expenditure: Except in the event of an emergency, the Executive committee shall not be empowered to spend or commit funds from the Club’s general revenue accounts in excess of $1,000 for any purpose not covered by the annual budget, without majority approval of the members at the General Meeting. These By-laws may be amended at an Annual General Meeting, at a Semi-Annual General Meeting, or at a Special General Meeting called for the purpose, provided that proper notice of such meeting has been given and that such notice has clearly stated the proposed amendment(s) to be presented at the meeting. No amendment thus made shall be effective until it has been submitted to and approved in writing by the provincial Ministry of Finance and Corporate Relations. The books and records of the Club may be inspected at the Clubhouse by any member in good standing on seven (7) days notice in writing being given to the Secretary stating the time at which inspection is requested and which specific books and records are requested for inspection. The Club may be dissolved by Ordinary Resolution adopted by a simple majority vote of the members present at an Annual General Meeting, Semi-Annual General Meeting, or a Special General Meeting called for the purpose, provided that the problem of dissolution has been clearly stated in the notice of the meeting. The resolution shall determine the time and manner of the dissolution, and the disposition of the Club’s assets after payment of all liabilities in accordance with Clause 4 of the Constitution (which see).